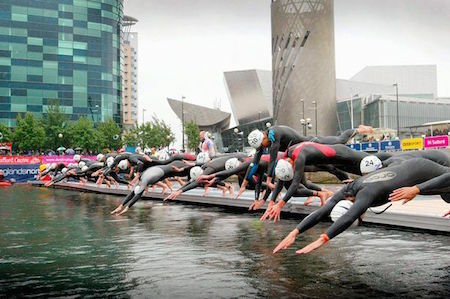 Taking place on Sunday 26th July 2015, Salford Triathlon offers triathletes of all abilities racing on fast flat courses around the breathtaking MediaCityUK complex at Salford Quays. Dock 9, MediaCityUK, Salford Quays. The iconic Salford triathlon made its long awaited comeback to the heartland of salford quays in 2013, with fantastic success. We are delighted to confirm it will return in 2015 and is open to entries from the 01/01/2015. Places are limited for this event with many people having pre registered its guaranteed to be a sell out, just as the last two years have been. Click here for more info and to enter the event.